Priority Systems, Inc. realizes that you may not always have a choice to install a Fire Alarm System, but you do have a say in the company you choose, so select Priority Systems, Inc. and let us prove to you why so many have chosen us in the past. Whether it’s a conventional fire alarm system, intelligent addressable panel, or a campus network. 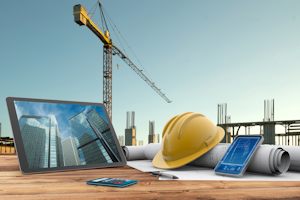 Priority Systems, Inc. is a Siemens Advanced Partner of the Building Technologies Fire Safety Division and has many outstanding accreditations based on distributor performance. When it comes to choosing the best security solution for your facility or project we can help! With our expert staff we can walk you through the process of seeing what’s truly important to you and your security needs. 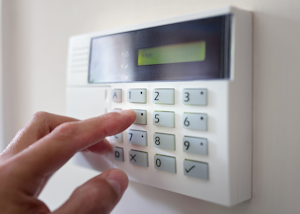 Priority Systems, Inc. has been a leader when it comes to integrating different security systems into one solution. Put us to the challenge and let us prove to you that Priority Systems, Inc. is the best option for your security needs. 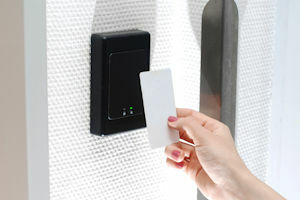 Whether it’s to restrict access to an area within a building or simply keep track of who’s coming in and out of an area, an Access Control system is an obvious choice. Too often Access Control systems are installed incorrectly by not allowing free egress from the locked side. This creates a situation where someone could be trapped behind an automatic locked door in the event of an emergency. If you are considering investing in an Access Control System give Priority Systems, Inc. the opportunity to show you we are the obvious choice. Seems like almost everybody today has a least considered adding Video Surveillance to their facilities and why not? 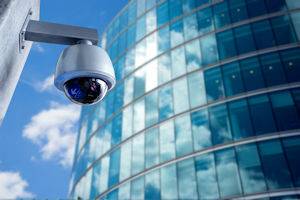 Video Surveillance offers several different levels of protection. An obvious one is that cameras are an easy deterrent to a prospecting thief. Some other levels of protection are being able to recover recorded video of an incident whether it is a “slip and fall” claim, a possible criminal act, or just simply to check on things around the facility while you’re not there. Priority Systems, Inc. can help you design the best system that meets your needs. Put us to the test and you will SEE what you have been missing. Every school has one, but do they have the right one? Most people don’t realize the importance of a School Intercom System until it fails and instantaneously all vital school communications cease. 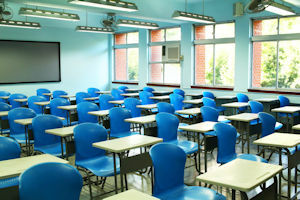 With TELECOR, Priority Systems, Inc. can provide today’s latest technology in school intercommunications. The term “Old School” is thrown out the window with what TELECOR has to offer; look and see for yourself. Give Priority Systems, Inc. the opportunity to work with you on your next School Intercom project. Peace of mind system for your facility and your patients. Nurse Call is one of those vital systems in a health care environment. 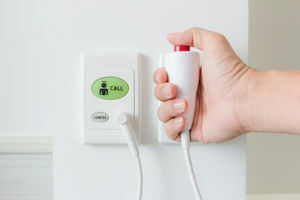 Priority Systems, Inc. can offer many solutions when it comes to Nurse Call systems. Give Priority Systems, Inc. the opportunity to find what is the best system solution for your facility. 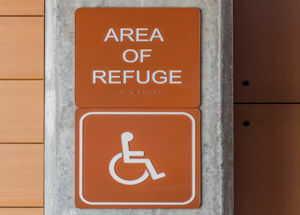 These systems are installed in locations that have been designed to hold occupants during a fire or other emergency, when evacuation may not be safe or possible. These systems allow for communication either to an onsite master control station and/or offsite monitoring facilities. This system is based on two-way communications typically between campus police and these remotely located emergency phones. 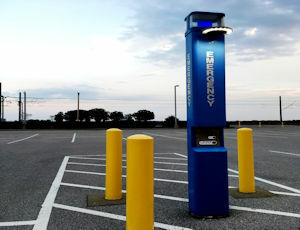 These phones are installed typically in outside areas throughout the campus and are easily identified by a large continually illuminated blue light. Once one of these phones is activated the light will begin to flash, and instantaneously you are connected to campus police to report your emergency. 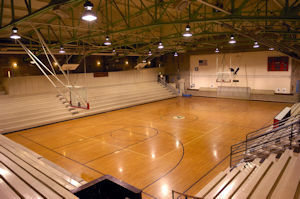 Do you have a small auditorium, office building, or some other type facility and would like a way to address the occupants all at once, or maybe by different zones? Priority Systems, Inc. can provide you several different options to achieve your endeavor in broadcasting to the masses. We understand the importance when it comes to your system requiring service. 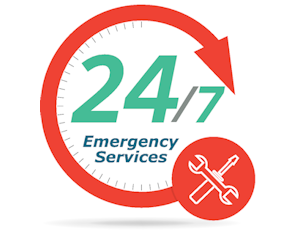 Our highly skilled state licensed service technicians and prompt response will ensure your system is back to normal operation with minimal down time. 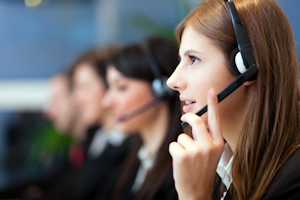 We have a 24hr live answering service and service technicians on call for emergency needs. 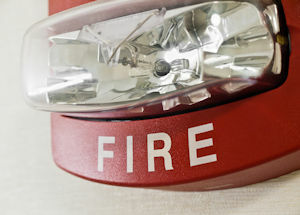 A main key to effective protection against a fire or a security event is 24hr monitoring. With a monitored alarm system, we can dispatch local authorities and even alert you to dangerous conditions before they get out of hand. 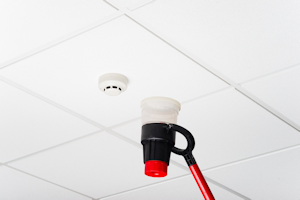 Did you know that Fire Alarm Systems are required to be inspected annually? We have highly skilled state licensed inspectors to meet all your inspection needs. Regular inspections of your systems are critical to the life safety of your building's occupants. Inspections aren’t just for fire alarms… We can perform routine inspections on all special systems. Ask us for details. 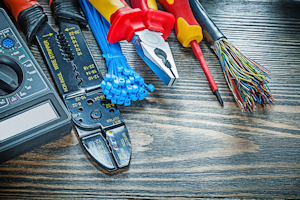 Our state licensed, and factory trained technicians understand the concerns when it comes to getting the project installed correctly and on time. Our staff will be there every step of the way from the submittal stage all the way through to the final inspection. Our NICET certified, state licensed, and factory trained professionals are industry experts in fire code & other standards and have developed strong relationships of trust with the Office of the State Fire Marshal. Our services can range from a simple concept meeting all the way through to the production of a detailed set of drawings and specifications. We offer an in house fully capable AutoCAD service. These services include but not limited to generation, altering, and reproduction of CAD files. 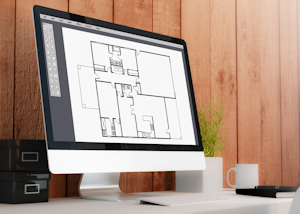 If you don’t have AutoCAD files for an existing facility, don’t worry we can help! and select Priority Systems, Inc. to be your full service Special Systems provider. Contact us today!